Tesla has become a household name as a leader and pioneer in the electric vehicle market, but it also manufactures and sells advanced battery and solar panel technology. As a tech pioneer with a significant interest in the race to build and market autonomous vehicles, it makes sense that today they would be deeply interested in artificial intelligence. However, it was only this month that the business’s billionaire founder and CEO Elon Musk publicly announced it is working on its own AI hardware. This is definitely interesting if not exactly surprising. Musk after all has been outspoken in his views about AI. As well as revolutionising almost every aspect of society, he has warned that it will cause widespread job losses and possibly even start World War Three. He is also a co-founder of OpenAI, a research organisation dedicated to ensuring that AI is developed and deployed in a safe, manageable way so as to minimise any existential risk robots may one day pose to humanity. Not many details have yet been made public about Tesla’s new AI, though it is believed it will process the “thinking” algorithms for the company’s Autopilot software which currently gives Tesla vehicles limited (“level 2”) levels of autonomous driving capability. Musk has said that he believes his cars will be fully autonomous (level 5 autonomous) by 2019. Tesla has been criticised by some for appearing over-eager to be first to bring autonomous cars onto the roads, in the light of what is being seen as the first fatal accident involving a car which was driving itself. But as a business decision, it is hoping its pushy tactics will pay off, with experts concluding that the company has trumped its rivals in the data-gathering department. 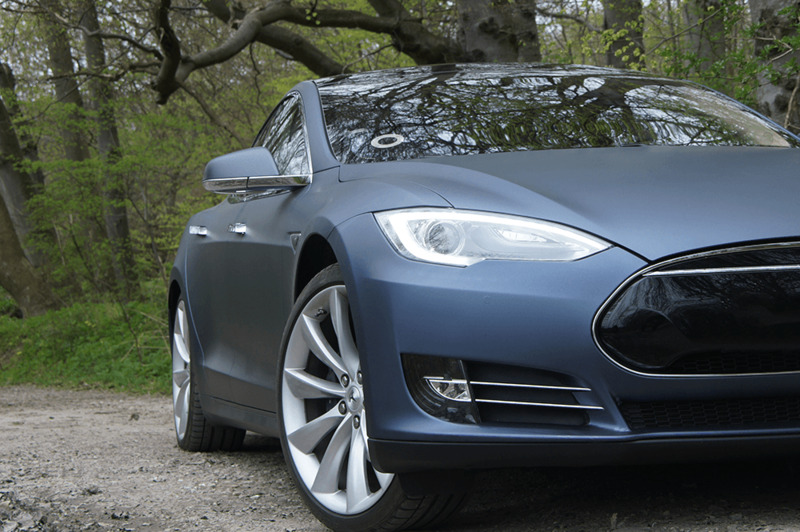 All the vehicles Tesla have ever sold were built with the potential to one day become self-driving, although this fact was not made public until 2014 when a free upgrade was rolled out. This means the company has had a lot more sensors out on the roads gathering data than most of its Detroit or Silicon Valley rivals, many of which are still at the concept stage. Having just launched its first mass-market car, the Model 3 with a price tag of $35,000, the company is expecting the number of its vehicles on the road to increase by almost two thirds to around 650,000 in 2018 – and that’s a lot of extra sensors. In fact, all Tesla vehicles – whether or not they are Autopilot enabled – send data directly to the cloud. A problem with the engine operation meaning that components were occasionally overheating was diagnosed in 2014 by monitoring this data and every vehicle was automatically “repaired” by software patch thanks to this. Tesla effectively crowdsouces its data from all of its vehicles as well as their drivers, with internal as well as external sensors which can pick up information about a driver’s hand placement on the instruments and how they are operating them. As well as helping Tesla to refine its systems, this data holds tremendous value in its own right. Researchers at McKinsey and Co estimate that the market for vehicle-gathered data will be worth $750 billion a year by 2030. The data is used to generate highly data-dense maps showing everything from the average increase in traffic speed over a stretch of road, to the location of hazards which cause drivers to take action. Machine learning in the cloud takes care of educating the entire fleet, while at an individual car level, edge computing decides what action the car needs to take right now. A third level of decision-making also exists, with cars able to form networks with other Tesla vehicles nearby in order to share local information and insights. In a near future scenario where autonomous cars are widespread, these networks will most likely also interface with cars from other manufacturers as well as other systems such as traffic cameras, road-based sensors or mobile phones. Although details are scarce on the new AI technology that Tesla were creating, its current AI – driven by a partnership with hardware manufacturer Nvidia – is largely based on an unsupervised learning model of machine learning. Whatever new tech it develops may veer away from this by stepping back into the more tested waters of supervised learning, where algorithms are trained beforehand about right or wrong decisions. However, it is possible that the theoretically greater gains achievable by truely unsupervised learning may keep them on this track. Tesla has clearly always been a company which has put data collection and analysis at the heart of everything it does. It isn’t just design and manufacturing either, with the company processing customer data with AI and even parsing it’s online forum for text insights into common problems. Whether this focus will lead to victory in the upcoming battle for supremacy of the autonomous car market remains to be seen, but it has certainly provided itself with a head start.